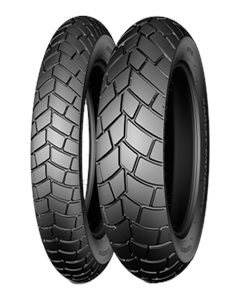 Innovative reverse tread design combined with Michelin's proven rubber compound technology help deliver superb tread life and even wear patterns. Maximise the ride and handling of your motorcycle. Excellent traction on wet or dry roads, thanks to generously grooved tread patterns and advanced Michelin rubber chemistry.